Authorities have released a slew of documents related to the murders of Shanann Watts and her two young daughters, revealing marital troubles between the pregnant mother and her husband, who later confessed to killing his family. The Denver Channel reportedly received nearly 2,000 pages of documents from a Weld County District Attorney’s discovery report detailing police interviews with Chris Watts and Shannan’s friends and family members, as well as text messages that appear to show Shanann and Chris’s marriage was unraveling. A police report from the day Shanann and her daughters, 4-year-old Bella and 3-year-old Celeste, went missing reveal that Shannan’s mother called while detectives were searching their Frederick, Colorado, home. It is unclear if she called the police, the house phone, or Shanann’s cell phone, which had been left behind. Chris Watts reportedly was unable to give police the password to unlock the phone, but Shanann’s friend Nikole Atkinson was able to provide it. “Shanann’s mother called during this time and was adamant that Christopher had done something and that I (the detective in the case) needed to check the GPS on his truck,” the detective wrote in the report obtained by the Denver Channel. Jennifer Kovaleski, a reporter for the Denver Channel, shared an additional detail from the report on Twitter — saying that Shannan’s mother believed Chris Watts was going to dispose of the bodies using oil. 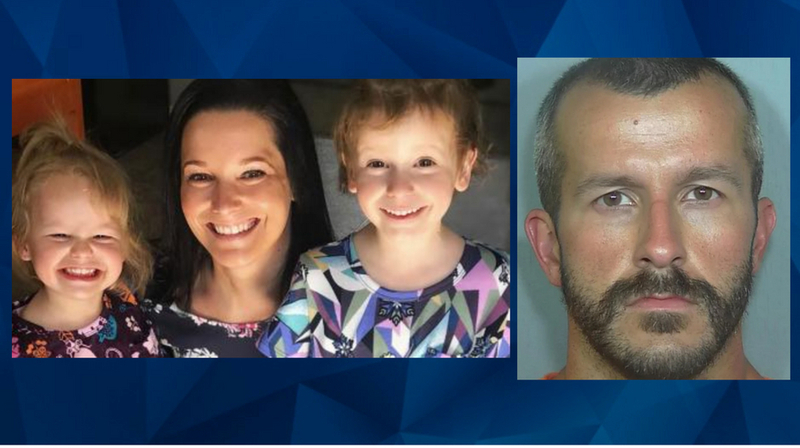 The bodies of Shanann and her daughters were found later that week on a property owned by the petroleum company where Chris Watts worked until his arrest on August 15. Shanann was reportedly buried in a shallow grave while Bella and Celeste were discovered in oil containers. Transcripts of text conversations between Shanann and friends revealed that the marriage crumbling just before Shannan and her daughters disappeared. The Watts had been planning to host a gender reveal party sometime in August, to announce Shanann was pregnant with a boy, which the couple had already named Nico. But days before her murder, Shanann told a friend via text message that the party had been called off. After a friend named Taylor told Shanann she had heard the gender reveal party had been cancelled, Shannan replied: “Chris said we are not compatible anymore,” according to the documents obtained by the Denver Channel. Shanann and the girls had reportedly spent about six weeks in the summer visiting her family and North Carolina, and Chris joined them for a small part of the visit. An investigation would reveal that Chris spent time with his new girlfriend while his family was away. “[H]e (Watts) said when they were together again the last week it just wasn’t the same. Chris felt like they weren’t in love anymore. Chris said he could never be himself or be who he was before he met her,” the report states. Chris reportedly told investigators it was “totally possible” Shanann was seeing someone else. In reality, Chris had been having an affair with a woman he met at work, who he led to believe his divorce had been finalized that summer. The woman, Nichol Kessinger, only learned that Shanann was pregnant after the family was reported missing. She began to become suspicious about Watts when he did not “seem to be concerned as he should be (about his wife and their daughters) and he was more concerned with their relationship,” the documents state. Kessinger went to police with her concerns the same day Watts was later arrested. He was sentenced on Monday to three life prison terms without the possibility of parole.